Magician Evan Myles delves into the madness of music, song, dance and the amazing world of magic as only a skilled magician can do. 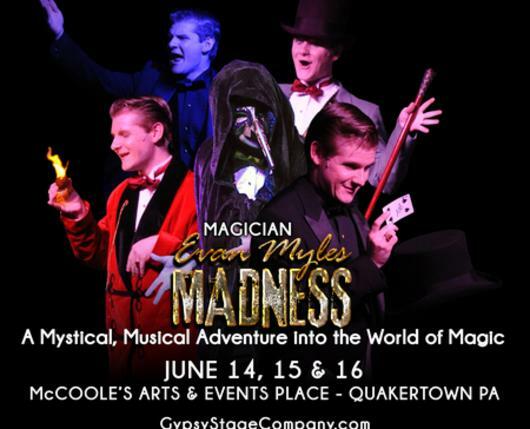 Enter a world of magic, music, song and dance in which Magician Evan Myles invites you into the deepest, recesses of his mind, and shares with you his very unique brand of magic! Delve deep into the mystical realm of magical personality disorder and meet the many faces that are, Evan Myles. All is not what it seems. "The Hidden One" appears to weave a mystical tale in his rhyming prose. With each new personality that emerges, we learn more and see more of what it means to embrace the Madness from which magic flows.